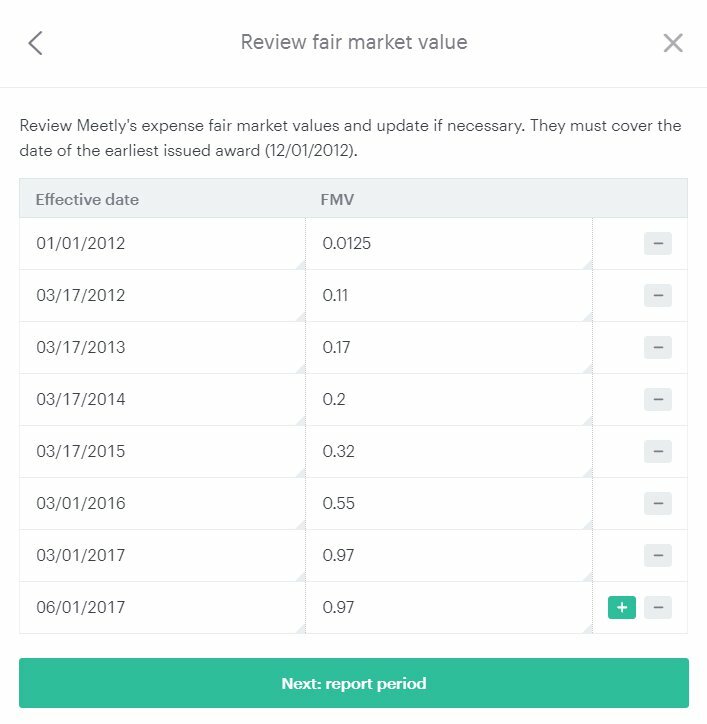 In addition, you can edit, delete, or add FMVs specific to expense reporting purposes on the FMV Table during the expense generation process when you 'Create a new report'. To locate this page, navigate to 'Compliance' >> 'Expense accounting' and begin the 'Create a new report' process. 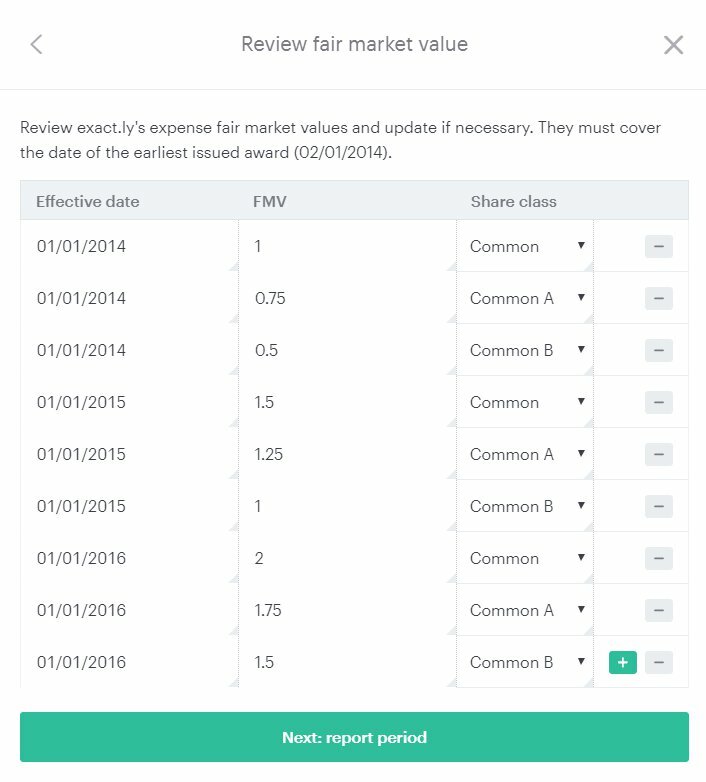 In the popup, you will see that Fair Market Value is a necessary step in creating a new report. 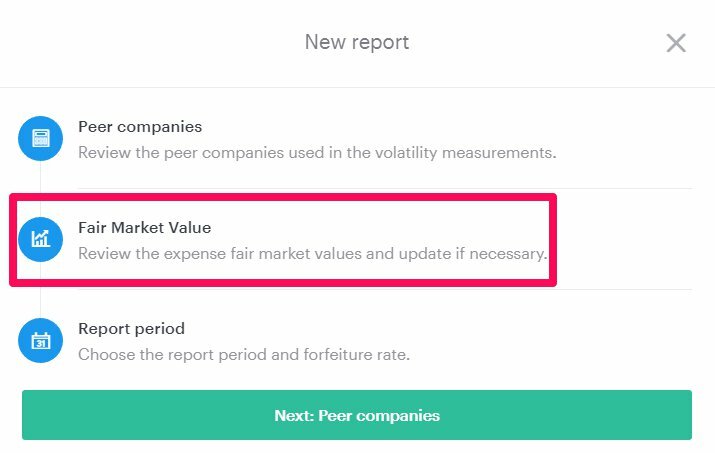 After adding and reviewing the public peer companies to be used for the volatility assumption, you will be prompted to review the fair market values. Please note that in order to successfully generate the expense report, you will need to make sure that a FMV is listed on this page that covers the date of the earliest issued award. For companies that did not have a third-party conducted the 409a at this early stage, a board approved FMV is sufficient. You can add additional FMV's for expensing purposes here using the green + option or delete FMVs that do not apply. Be sure to account for any splits that may have occurred by entering all values in post-split format. If you worked with Carta to record the stock split on the platform, the FMVs will already reflect the post-split numbers. If you have any trouble editing the FMVs, please contact 718@carta.com.